It previously was on the market for a total of 85 days. Come home and unwind in this east facing luxury studio, one bath with garden views designed by famed architect Steven Yavanian. 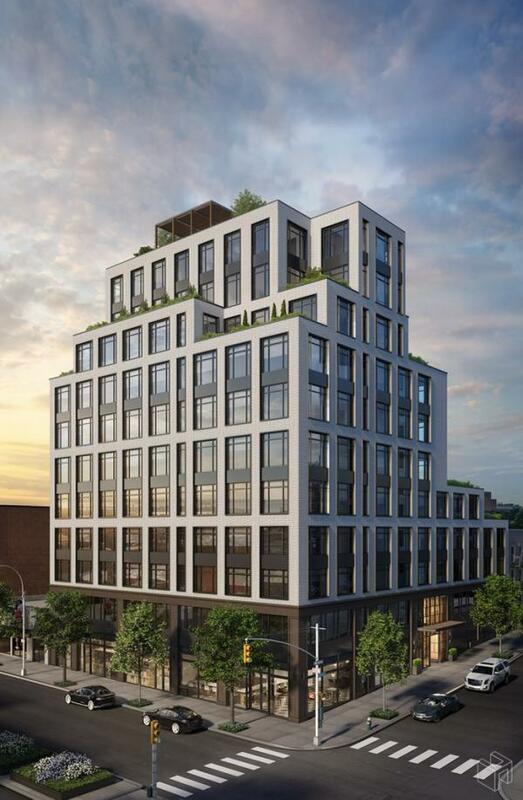 Enjoy the serenity of Brooklyn&apos;s greenspace integrated in your own home. Tonal simplicity and crafted details are the mediums through which Paris Forino&apos;s vision comes to life in this home. 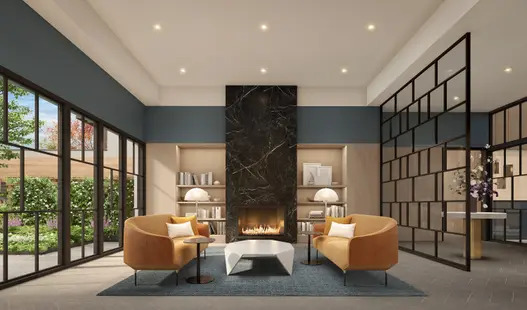 Integrated design elements create an understated impact that set a distinct mood and bring a palpable sense of calm into the home. Lacquer and walnut kitchen cabinetry become part of the architecture by fading into the background, while close inspection reveals thoughtful detailing of White Oak flooring, distinctive stones and blackened metal hardware. Custom china cabinets with fluted glass doors and Super Gray Quartzite spice shelves provide ingenious moments for storage or display. 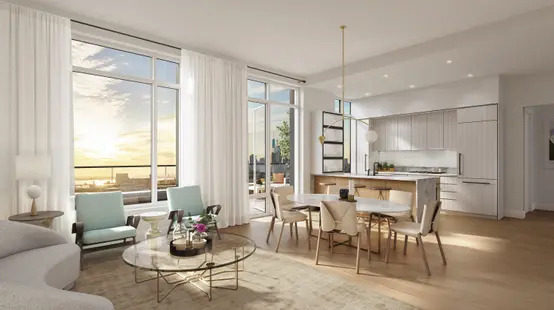 Expansive eight- foot windows and soaring ceiling heights allow gentle light to fill each home, highlighting Paris Forino&apos; s timelessly modern design. 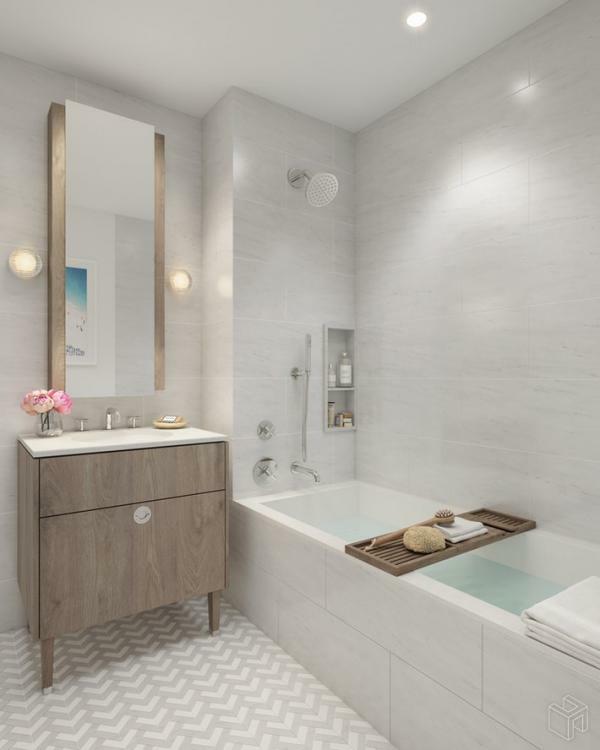 A design philosophy of hushed luxury comes through in the master bathroom&apos;s carefully selected natural palette and refined accents of white dolomite stone and marble mosaic flooring harmonize to create a soothing retreat. 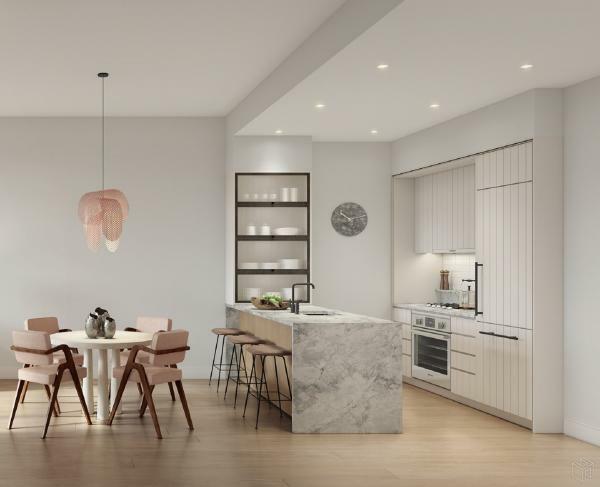 Located at the crossroads of Park Slope and Greenwood, Arbor Eighteen is a home that values the unhurried nature of its setting. 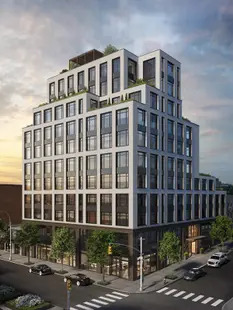 Surrounded by Brooklyn&apos;s many parks and the friendly community of long- time residents, this is Brooklyn&apos;s newest place to put down roots - like few left in the city. 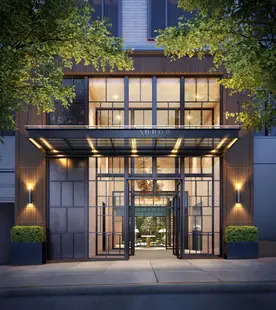 The demands of city life fade upon entering through the double-height attended lobby, framed by a dramatic glass canopy and soft colored Roman brick. 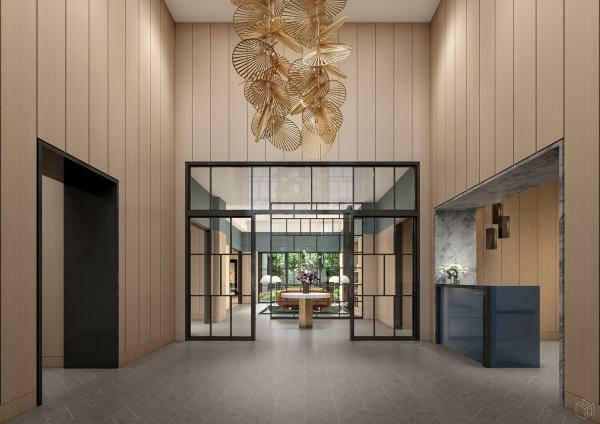 The amenities experience continues with the first-floor Arboretum, which offers a series of spaces designed for modern living: curl up with a book in the library or lounge, host dinner in the private dining room or take a stroll in the peaceful central courtyard. 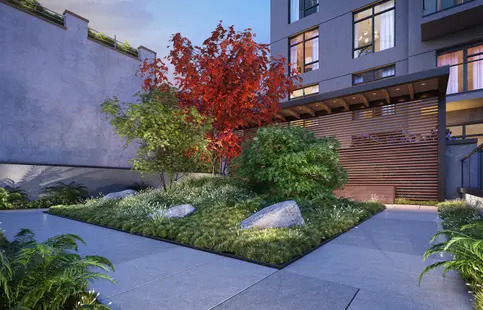 Thoughtfully conceived by landscape architect Steven Yavanian, the courtyard and zen garden were designed to capture the restorative quality of Brooklyn&apos;s most treasured green spaces Prospect Park and Green-wood Cemetery - just moments away. The lower level Sanctuary was carefully considered to accommodate a high-tech and high- touch approach to health. 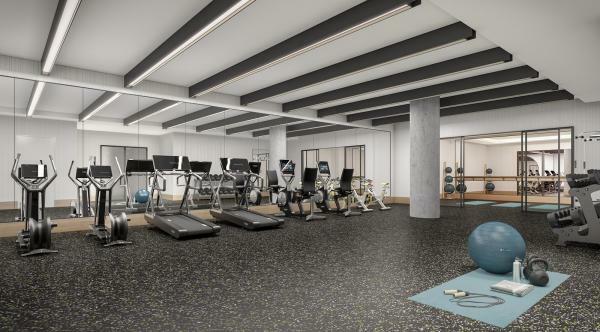 A state-of- the-art fitness center and yoga studio are complemented by the meditation room and infrared sauna, offering a comprehensive wellness experience. 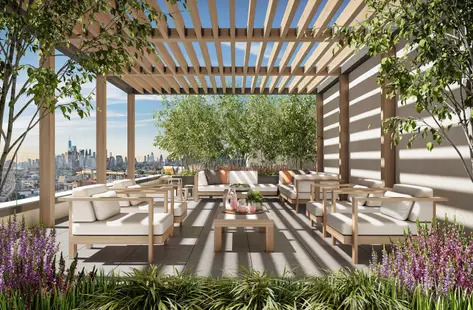 On the rooftop level, distinct relaxation and dining areas are screened by groves of trees that frame stunning Manhattan views, inviting endless opportunities to engage with the outdoors. 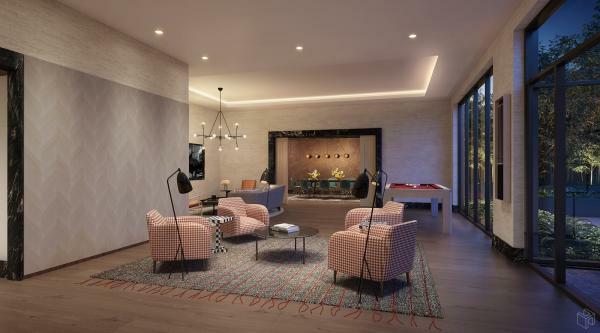 A children&apos;s playroom, private garage, pet spa, stroller and bicycle storage simplify city living and free up time for the things that matter most. Learn more at The complete offering terms are available in an offering plan from Sponsor.